Jacqui Alexander. Pedagogies of Crossing: Meditation on Feminism, Sexual Politics, Memory and the Sacred. Duke University Press, 2006. Katie Cannon. Black Womanist Ethics. Atlanta: Scholars Press, 1988. Kelly Brown Douglas. Stand Your Ground: Black Bodies and the Justice of God. Orbis, 2015. Jacqueline Grant. White Women’s Christ and Black Women’s Jesus: Feminist Christology and Womanist Response. Atlanta: Scholars Press, 1989.
bell hooks. 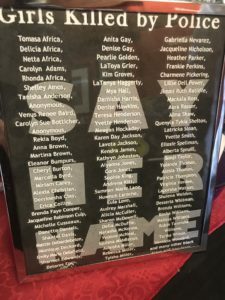 Sisters of the Yam: Black Women and Self-Discovery. New York: Routledge, 2014.
bell hooks. Teaching to Transgress: Education as the Practice of Freedom. Routledge, 1994. Zora Neale Hurston. Their Eyes Were Watching God. Harper: 2006. Cheryl A. Kirk-Duggan. Exorcizing Evil: A Womanist Perspective on the Spirituals. Maryknoll, NY: Orbis, 1997. Gloria Ladson-Billings. The Dreamkeepers: Successful Teachers of African American Children. Jossey-Bass, 2009. Layli Phillips, ed. The Womanist Reader. New York: Routledge, 2006. Cheryl J. Sanders. Living in the Intersection: Womanism and Afrocentrism in Theology. Minneapolis, MN: Fortress, 1995. Alice Walker. In Search of Our Mothers’ Gardens: Womanist Prose. San Diego: Harcourt Brace Jovanovich, 1983. Traci West. Wounds of the Spirit: Black Women, Violence, and Resistance Ethics. NYU Press, 1999. Nancy Lynne Westfield, ed. Being Black, Teaching Black: Politics and Pedagogy in Religious Studies. Abingdon, 2008. Delores Williams. 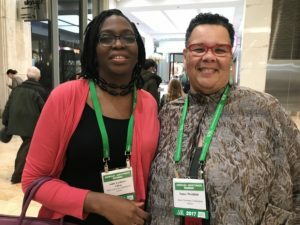 Sisters in the Wilderness: The Challenge of Womanist God-Talk. Maryknoll, NY: Orbis, 1993. In this second part of the podcast Profs. Westfield and Lockhart-Gilroy go deeper in their discussion of embodied teaching and learning, utilizing womanist epistemologies. Critical race theory provides a framework for understanding the dynamics of race in the classroom. They describe their classrooms as multisensory—honoring the whole selves in the space to make places for the imagination, and the creative mind and body. 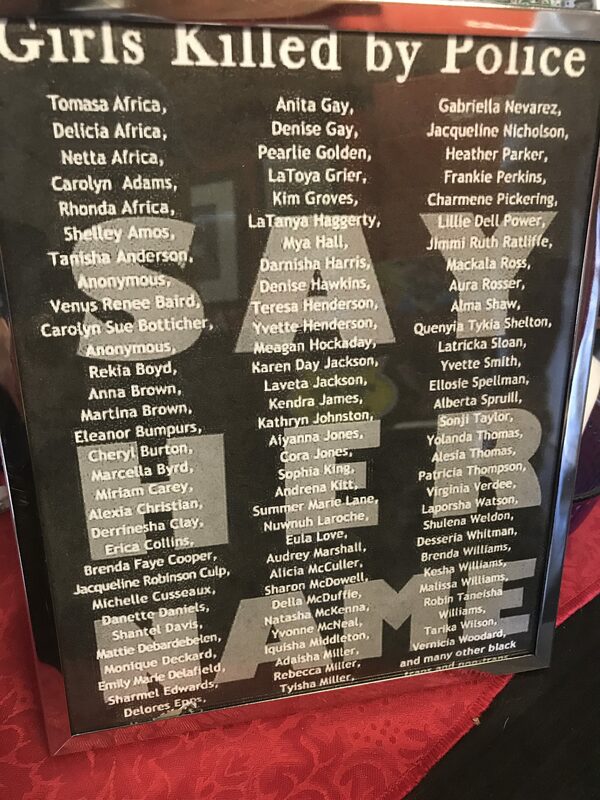 They leave us with an exploration of what a truly revolutionary womanist pedagogy entails. 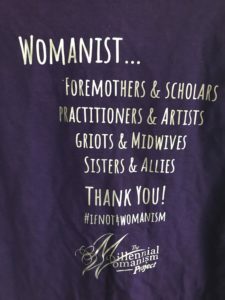 Womanist pedagogies is a way of teaching that connects stories and bodies and lived experience in the classroom. In part one of this podcast, I talk with Dr. Nancy Lynne Westfield and Dr. Annie Lockhart-Gilroy of Drew University Theology School about the origins of womanist pedagogies—the forebearers and the definition—and the practices in the classroom. 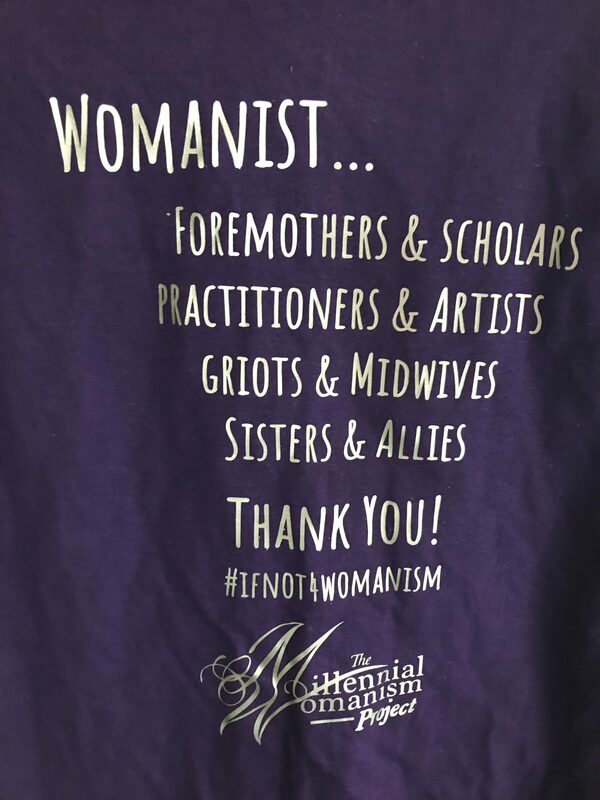 Scholars in multiple academic disciplines adopt the term “womanist” from Alice Walker’s definition in In Search of Our Mothers’ Gardens. The focus of the discussion here is in religious education and theological studies. The discussion centers around the “wisdom-speak of the wisdom-kin,” the necessity of kitchen table conversations and the spaces of the ordinary, and the audacity of naming oneself. Dr. Annie Lockhart-Gilroy (left) is Assistant Professor of Christian Education and a Louisville Post-Doctoral Fellow at Drew Theology School. She teaches classes in Christian Education and Practical Theology. Her forthcoming book is entitled, Transforming Cities: Nurturing the Sanctified Imagination of Urban Youth. Dr. Nancy Lynne Westfield (right) is Professor of Religious Education and director of the Public Theology Initiative at Drew University Theology School in Madison, N.J. She is an ordained deacon in the United Methodist Church, a frequent contributor to HuffPost, and a blogger for the Wabash Center for Teaching and Learning in Theology and Religion. She speaks first on the podcast.